Calisphere: Nurses in Embryo comic book - Hilda and a certain M.D. in the O.R. UC San Francisco, Library, University Archives > Archives Classification Collection > Nurses in Embryo comic book - Hilda and a certain M.D. in the O.R. RE: Calisphere: Request high-resolution copy of item for Nurses in Embryo comic book - Hilda and a certain M.D. in the O.R. Nurses in Embryo comic book - Hilda and a certain M.D. in the O.R. 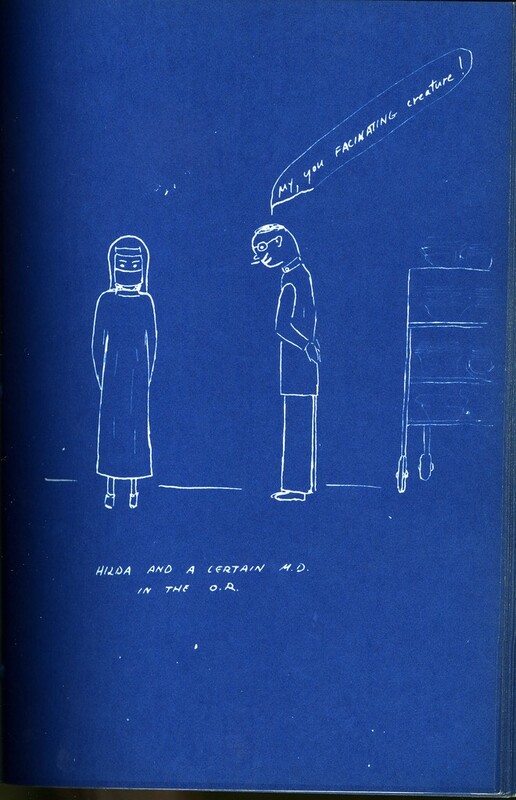 Scope/Content: Illustration of doctor and nurse from a comic book created by Phyllis P. Benson for the 1947 graduating class of the University of California, San Francisco School of Nursing.